Jonathan Edwards took great pains to illustrate how love must be lived out and exercised in one's life when he exposited the thirteenth chapter of the first book of Corinthians. Offered here is the only accessible edition of Charity and Its Fruits based on the most authoritative transcription of the original manuscripts. Edwards scholar Kyle Strobel goes to great lengths to help readers understand this classic work of biblical spirituality by providing a detailed introduction, explanatory notes addressing difficult points throughout the text, definitions of arcane terminology, and a conclusion showing how to appropriate Edwards's work. Additionally, Strobel includes callout boxes, relevant quotes from Edwards's other writings, and visual representations of his more abstract distinctions. Here is an updated and explanatory version of Jonathan Edwards's Charity and Its Fruits for pastors and laypeople--the perfect blend of doctrine and application of the all-important topic, Christian love. 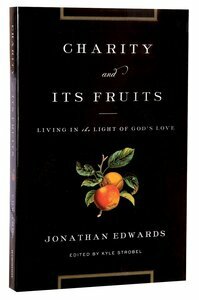 Here is an updated, unabridged, and enlightening version of Jonathan Edwards’s Charity and Its Fruits—the perfect blend of doctrine and application on the all-important topic, Christian love. About "Charity and Its Fruits"
Kyle Strobel (PhD, University of Aberdeen) is assistant professor of theology at Grand Canyon University, USA and research associate at the University of the Free State (Bloemfontein). He is also the author of Jonathan Edwards's Theology: A Reinterpretation.